This is part of my series about maps of the world where I compare each country I have visited in different categories. 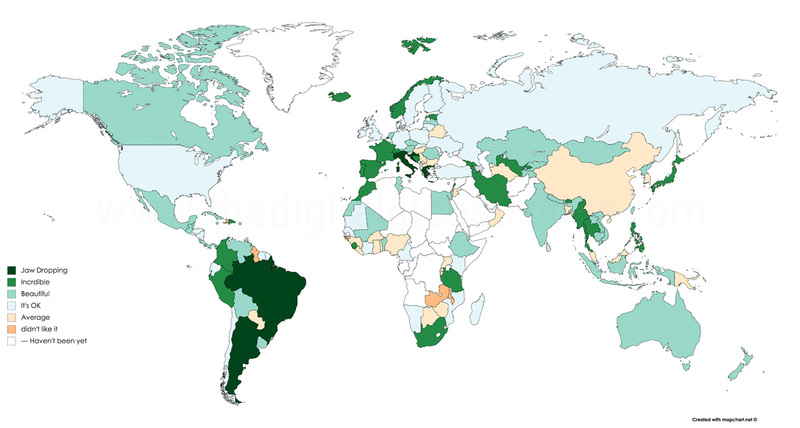 The point of this analysis is that after having visited almost all the countries (173/196) I believe I have finally acquired the experience and the credibility to be able to put them side by side and give an honest comparison. Of course, many of them are personal views following my personal tastes and is only a generalization. But since I get so many questions all the time about “what is my favorite country, for this, for that, for everything… “ I decided to represent my results graphically for people to get a better understanding of my opinion. The world is truly a marvelous place! And humans are truly an amazing species! It is pretty incredible what human intelligence and creativity have been able to do in different places in the world, under different climates, different geography, and different beliefs. This creativity has resulted in the creation of cultures that forged the nations of the world. As a world traveler, this is what I crave. Arriving in a new country feels so good, immersing myself in a totally new world, with new people, new architecture, new food, and the list goes on. This is really what drives me in going to all of them, My curiosity to discover something new, to absorb new cultures I didn’t know existed, and the only way to really feel and understand them is to go there in person. So this is to say, to my eyes, the human factor is the number one criterion in making a country beautiful, and this is why Italy ranks so high on my list! Italy is far from being my favorite country in terms of a place I would want to settle, but I must give them credit, their towns and villages, the picturesque small streets, churches and markets. It is hard to rank higher than that. Some countries are just really lucky to be geographically situated in a naturally beautiful place, such as Brazil or Greece for example. 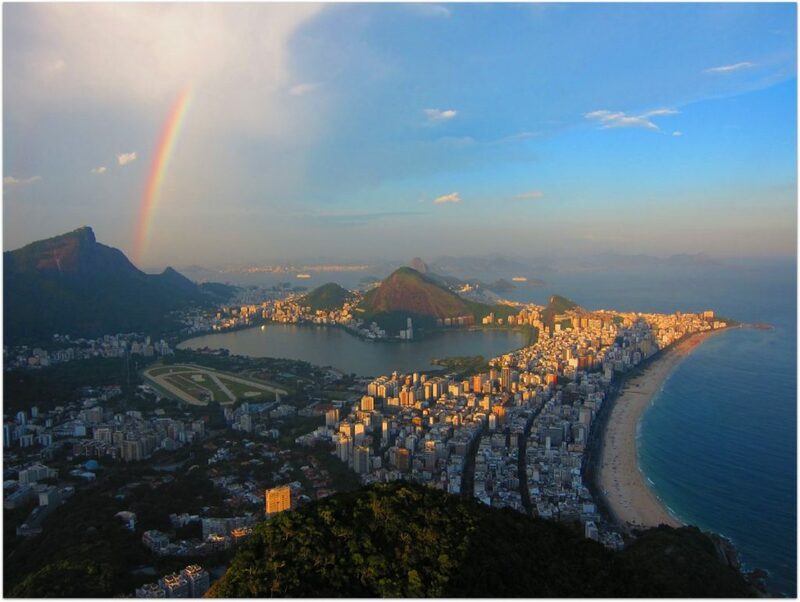 Anybody who has been to Rio de Janeiro will agree on the natural wonders of its landscape, being as near as one can imagine paradise could look like. No wonder it carries the nickname “Cidade Maravelhosa” (the marvelous city). 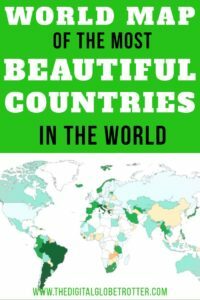 It makes it easier for countries like Brazil to rank high on my list of the most beautiful countries especially because of its Landscape. One of the hardest questions I get by travelers is “what are the countries I don’t like…” Quite honestly, I don’t have any! 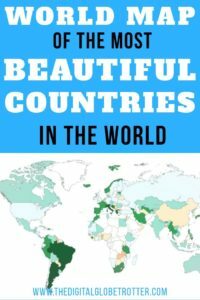 I believe every country has something to offer and are beautiful in some way or another. I really don’t understand why it’s so hard to answer, but if I try hard, and ask the question in another way, I may be able to find “places where I wouldn’t necessarily go twice”. 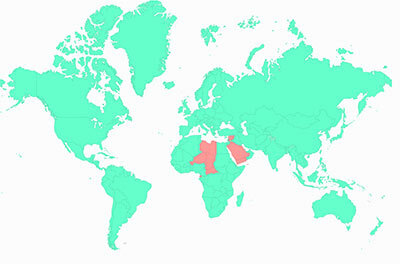 This is why this map contains so little RED color compared to Green because I placed most countries on the Green side. 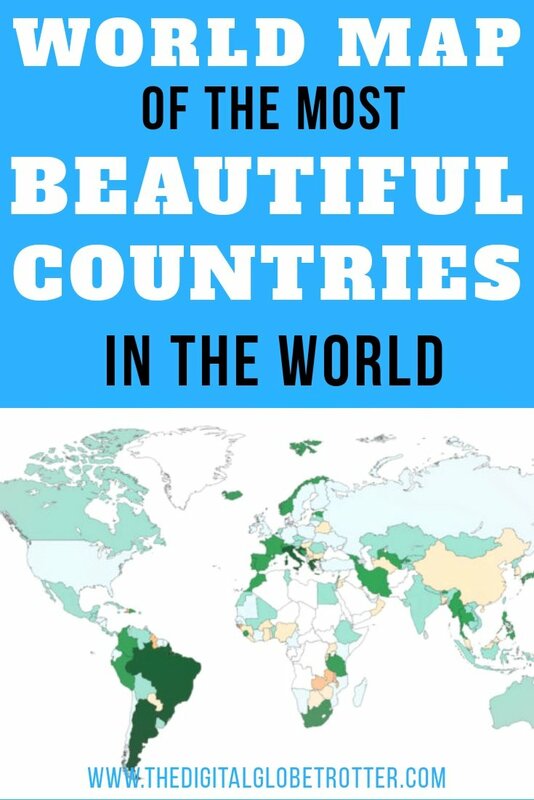 That said, to summarize my map of the most beautiful countries, the top-ranked countries in the “Jaw Dropping” category are Italy, Greece, Croatia, Brazil, and Argentina. These 5 countries should definitely be top of the list on anybody’s next holiday destinations, and could easily take many holidays to see every corner of them. 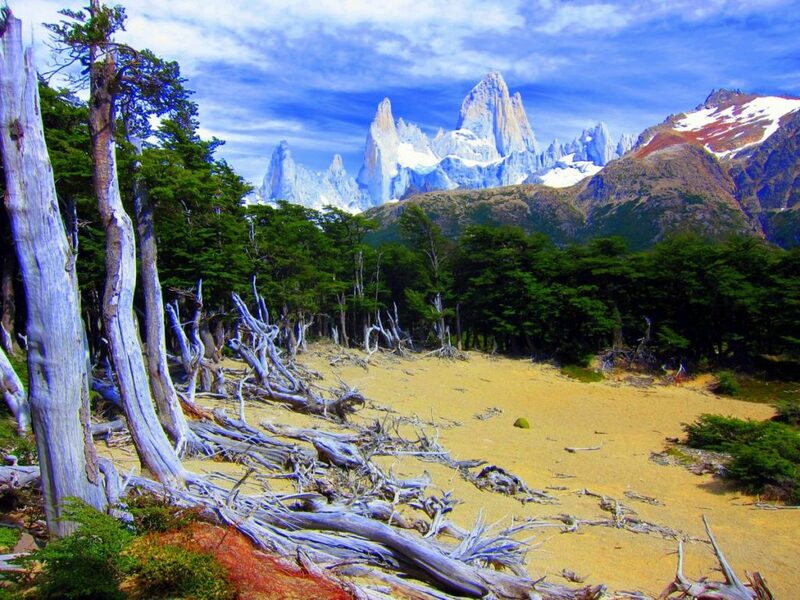 Argentina also deserved the top spot for the beauty of it’s Capital Buenos Aires, but mostly for the south region of Patagonia which I consider some of the most beautiful natural landscapes I have ever seen! I really feel like being on another planet. In the second category of “incredible” are all the countries I also find mindblowing, just to a lesser extent than the above mentioned. I’ve always considered Spain and France as incredible, but also Iran where I have been 2 years ago and was one of the most culturally rich countries I’ve seen with all its ancient remnants. Also on the list are Georgia and Armenia in Central Asia. 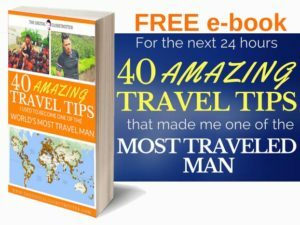 In Africa, I listed three countries: Morroco is amazing and Tanzania which has so much diversity, between its Ngorongoro crater, its highest peak of Africa the Kilimanjaro, and the beautiful island of Zanzibar. The most beautiful country in Africa, in my opinion, is South Africa. It is blessed with incredibly beautiful Nature, with its coastal areas but also its plains around the Drakensberg Valley. In Asia, Japan, Thailand, Myanmar and the Philippines are all incredibly beautiful countries as well. On the other end of the spectre, I placed China on the countries that was average, simply because after 2 months travelling in the country, I left with an idea that a lot of the historical and ancient sites have been destroyed through the communist years, compared to a country like Taiwan which has conserved them very well! Other than that, some countries in the average category are just too “normal” and didn’t offer the variety that others offered, which explains their lower rank. The countries in white indicate countries I haven’t been yet and I will update this map with time as I go through them! So what do you think about this map? do you believe your country has been ranked fairly? 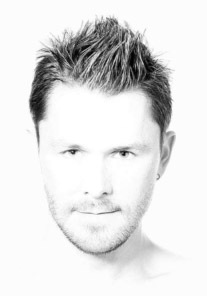 Would you have done so differently? Please let me know in the comments I ami nterested to know! Tagged argentina, backpacker, backpacking, backpackingdream, brazil, digitalnomads, greece, italy, mostbeautifulcountries, nomad, remotework, traveltips, wanderlust, world, worldmap, worldphotography, worldtravel.